The National Weather Service (NWS) announced a meteorological "bomb" detonated over the Central US of "historic proportions." As the powerful winter storm developed mid-week, heavy snow pounded northern Colorado, including Denver, western Nebraska, eastern Wyoming, central South Dakota, and southeastern North Dakota. 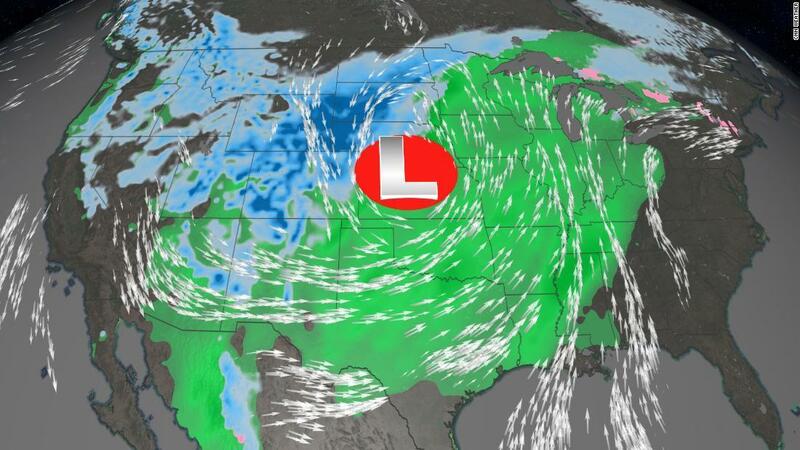 "As expected, a historically strong storm pushed through the Plains Wednesday into Thursday with powerful winds, snow, and blizzard conditions. 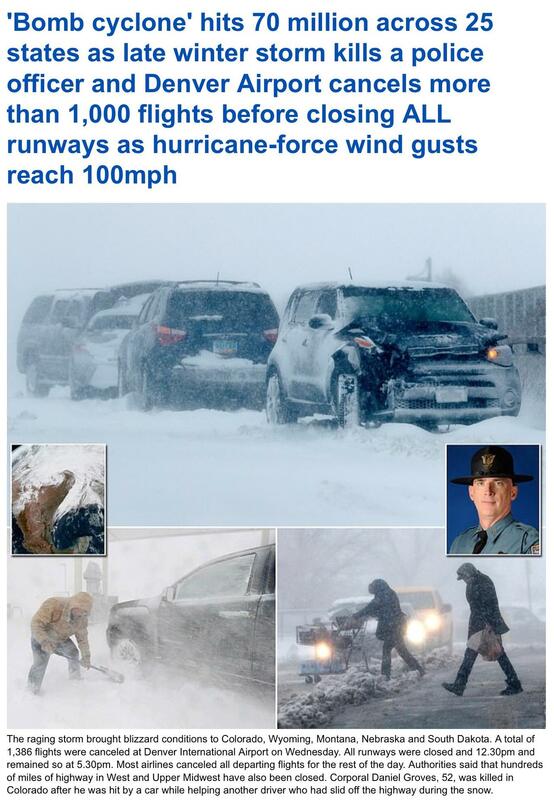 A wind gust of 97mph was recorded near Colorado Springs, along with several inches of snowfall. This created blizzard conditions and blowing snow that continues today in much of the Plains of Colorado. This has caused road closures, and travel headaches across this region. 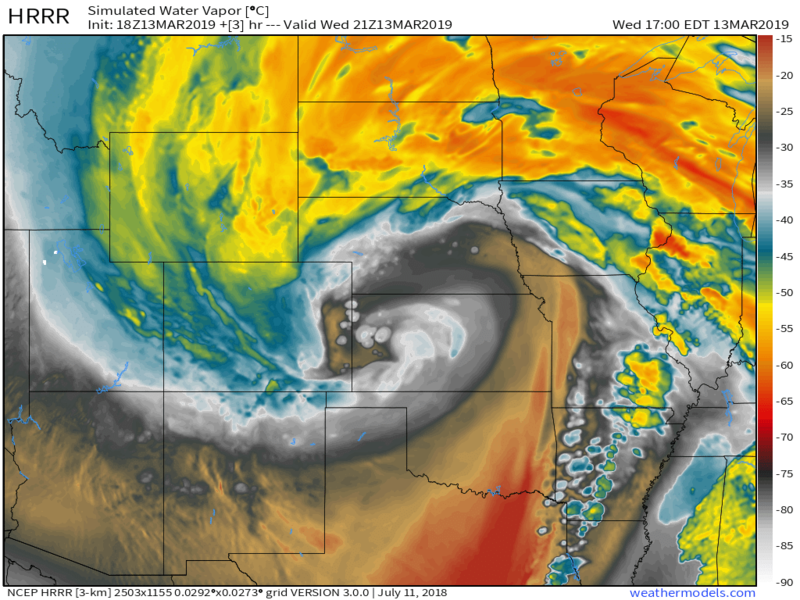 This system is also responsible for flooding across the Upper Midwest as well as severe weather and tornadoes in the Ohio Valley Thursday," reported Meteorologist and owner of Empire Weather LLC., Ed Vallee. Hundreds were stranded throughout Colorado interstates. The Associated Press reported many accidents occurred along interstates 25 and 70 in Colorado. Dozens of roads remained closed in Colorado, Nebraska, Kansas, South Dakota, and Iowa on Thursday due to snow and flooding. Some of the significant closures include stretches of I-80 and I-70. Gov. Jared Polis declared a state of emergency on Wednesday and activated the Colorado National Guard. Nebraska Gov. Pete Ricketts did the same. 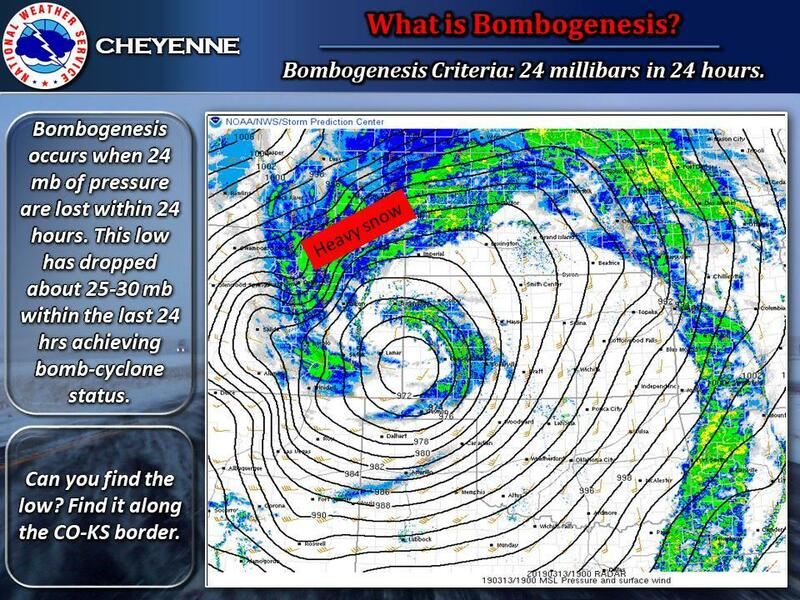 The storm pulverized the High Plains on Wednesday with the rate of intensification resulting in bombogenesis, which describes storms whose central pressure drops 24 millibars in 24 hours. The lower the pressure and the quicker it falls, the more powerful the storm. NWS recorded 350 wind gusts reports of 50 mph or more during the storm. 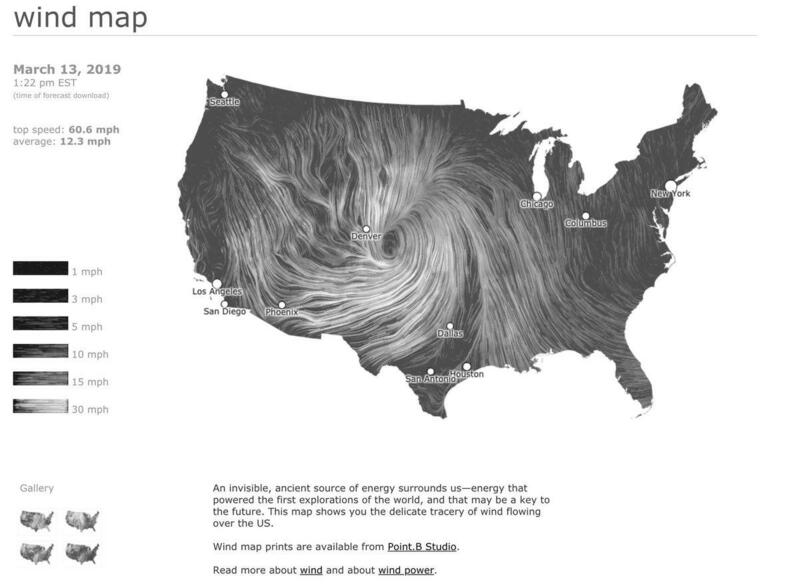 Some locations were blasted with hurricane-force wind gusts. Airlines canceled 2,000 flights and delayed another 2,700 due to hurricane force winds and severe weather.